0 Comments Published by Matt on Monday, August 31, 2009 at 9:03 AM. 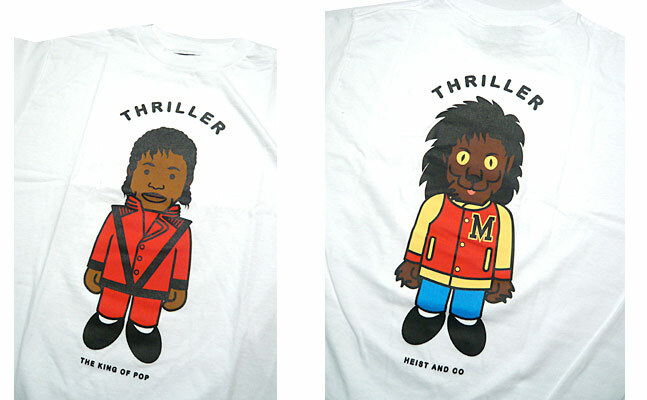 Heist & Co. get in on the MJ Tribute action, with a cartoon version of the man with his iconic leather jacket on the front, and then in teenwolf mode from the "Thriller" video on the back. Printed on standard fit cotton shirts.